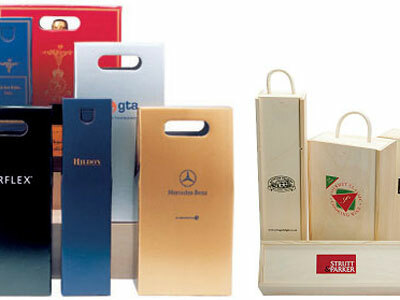 You can choose from a wide range of superb presentation packaging options. 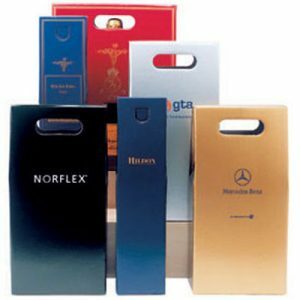 These include bottle cartons and premium bottle bags in a variety of colours and patterns. 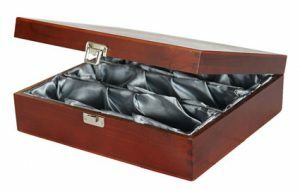 As well as wooden boxes featuring rope handles or luxury silk linings. 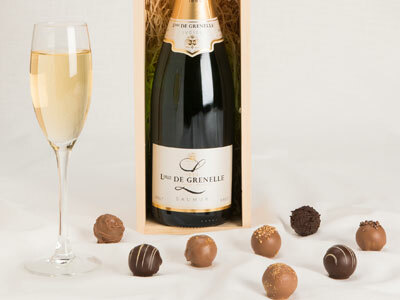 These are available in the following sizes: 1 bottle, 2 bottles, 3 bottles, 6 bottles and 12 bottles. 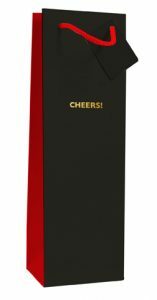 We can also supply wooden boxes designed for gift sets such as Champagne and chocolate or wine and cheese, as well as boxes for large bottles such as magnums and jeroboams. Please note that we do not sell packaging on its own. 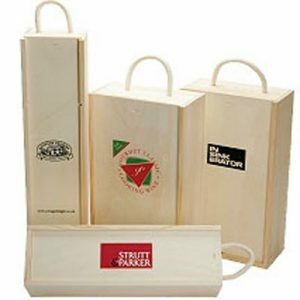 Bottle bags, cartons and wooden box lids can be personalised with your company’s name and logo for an even more memorable and luxurious gift. Gift cartons: 50 cartons of the same size. 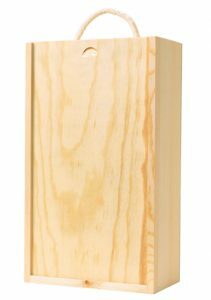 Made from FSC approved pine timber. Removable rope handle on 1, 2 and 3 bottle boxes making it easy to add a gift tag. Strong cotton handle for total portability. 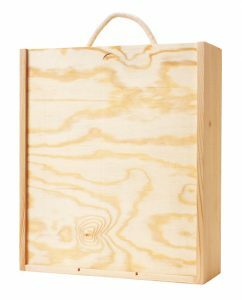 6 bottle wooden crate has sliding lid and 2 carrying handles. 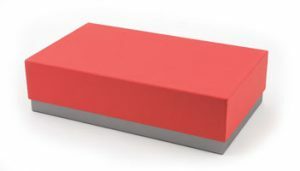 Boxes can be branded subject to a minimum of 50 units. 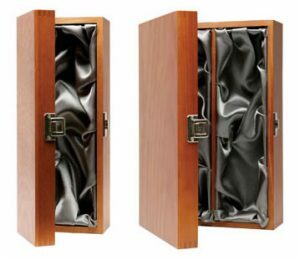 Luxury stained wood, hinged box with a silk lining. 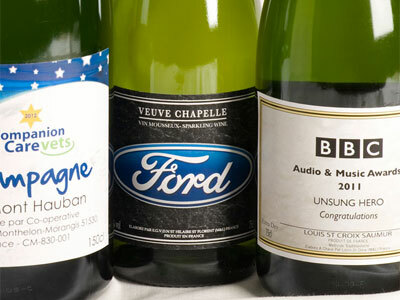 Options for 1, 2 and 3 bottles of wine or Champagne. 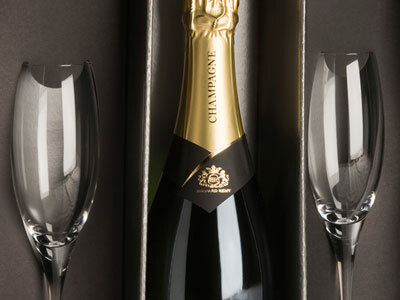 Supplied in 1, 2 or 3 bottle options. Flat packed but assembly in seconds. 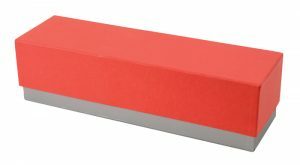 Perfect for corporate branding – minimum quantity 50 units. Cut out handle for easy carrying. 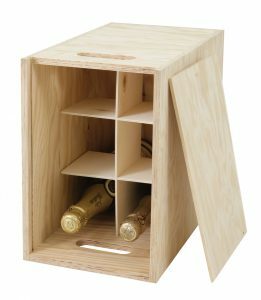 Fits 1 or 2 bottles of wine or Champagne.